Luxurious Luxhide upholstery with a mock leather trim gives the look and feel of richness, while the contoured back provides excellent back support to maximize comfort and minimize back stress. 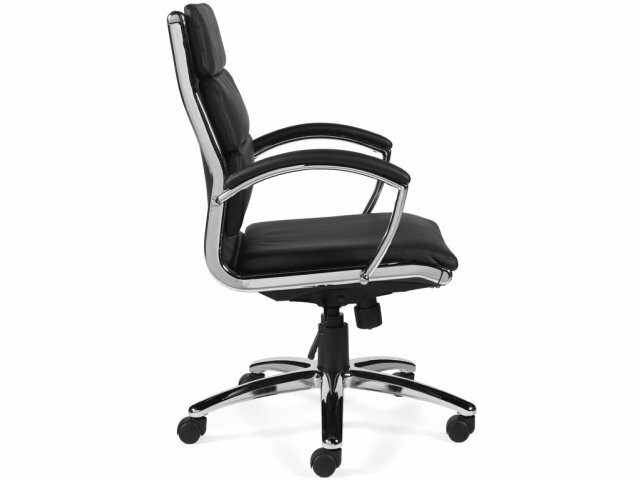 The swivel/tilt mechanism with tilt-tension adjustment offers additional support as do the fully padded armrests. 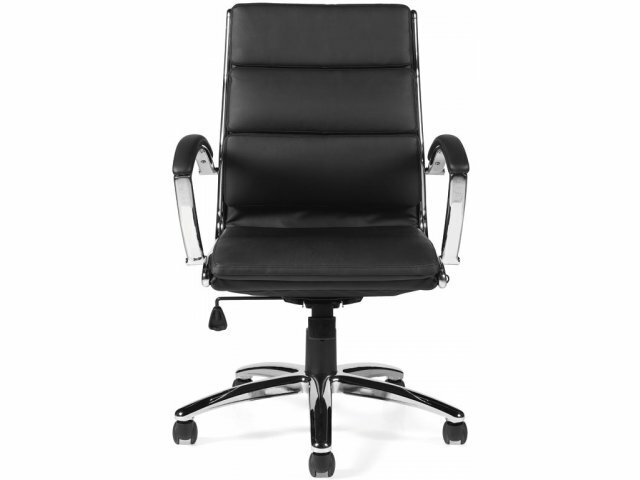 Pneumatic mechanism allows for effortless seat-height adjustment, so that this executive chair can easily be used in multiple locations or for a number of people. The Segmented Cushion Chair is designed for today's professional environment. The black-and-chrome combination gives a sleek, highly professional appearance without being overbearing. And twin-wheel carpet casters allow for smooth mobility on carpet and most hardwood floor surfaces. 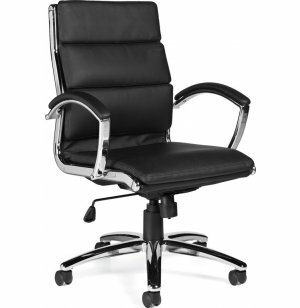 A manager's chair that's impressive, luxurious, comfortable - and budget-conscious. Need we say more? Matching faux-leather polyurethane is used to upholster the non-contact areas of the chair. Luxurious Upholstery: Deluxe Luxhide upholstery has a rich look and feel. 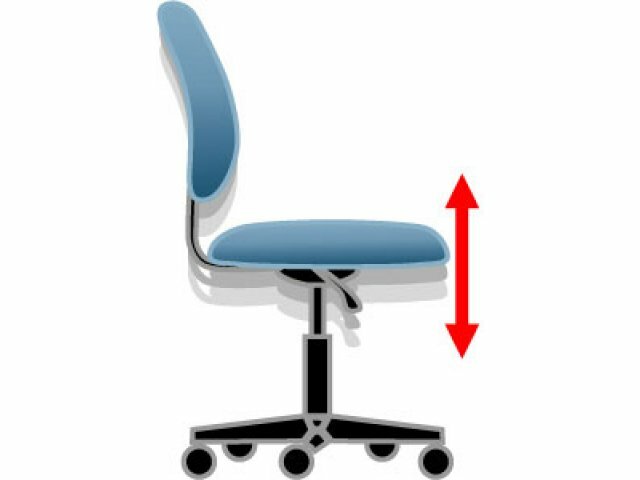 Ergonomic Support: Contoured back and tilt-tension adjustment offer excellent ergonomic support to the back and legs. 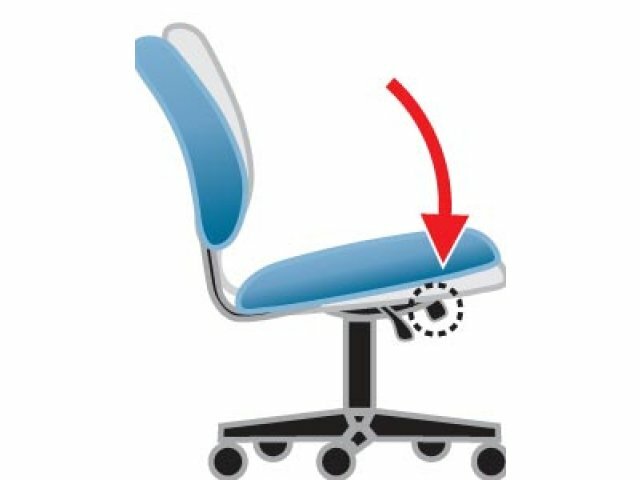 Height-Adjustable: Pneumatic mechanism allows seat height to be easily adjusted. 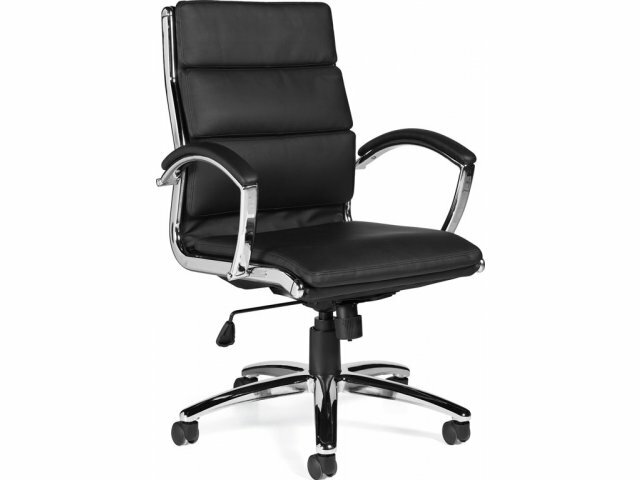 Executive Style: Black seat and chrome legs give this managerial chair a highly-professional look. Versatile Mobility: Twin-wheel carpet casters allow for smooth mobility on carpet as well as many hardwood surfaces.